Beautiful full-water view from renovated high floor 1/1 overlooking Intracoastal and Palm Beach. Big space with renovated kitchen and bath and huge terrace, gorgeous pool, gym, 24-hour security, assigned parking, and close to everything. 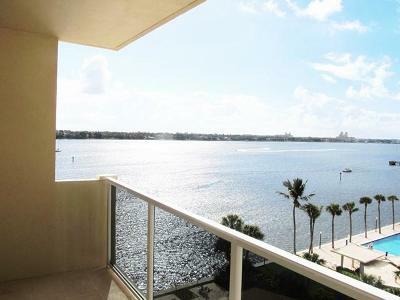 Easy walk/ride to Palm Beach, Clematis St, Cityplace, Northwood, Palm Beach airport. Rare availability for high-floor water view in premier building. Grab this fast!